The switch to digital has been a challenge for most industries, and the gambling space is no different. The transition from land casinos to online casinos and the meteoric rise of online gambling has meant that with every advancement in technology, the games manufacturers and casino operators have had to adapt and ensure their offerings have remained cutting edge. In such a competitive field, anything less would soon see them left by the wayside. You can see some of the advances in games like paddypower and other modern releases. Here are four of the biggest innovations to improve slot games! 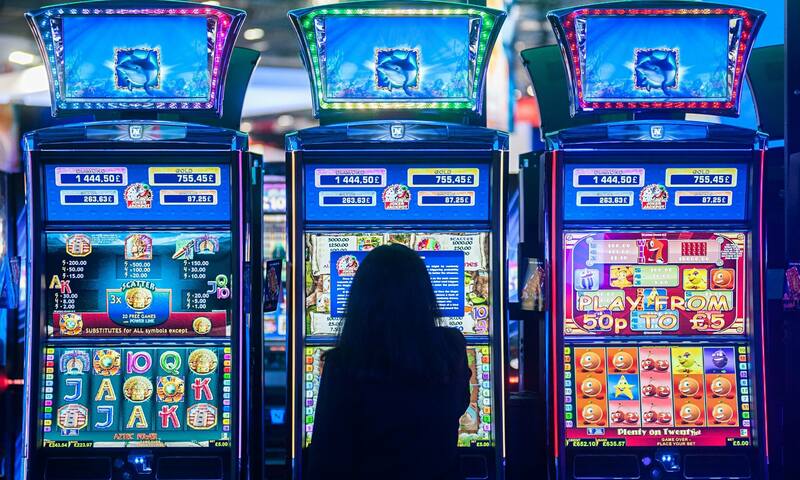 Graphical advancements go hand in hand with technology improvements and slots are no stranger to this development, moving from mechanical reels to electric reels all the way to the video displays used nowadays in both slot machine units and online slot games. As graphical advancements have improved, we’ve seen games advance accordingly and the visuals you’ll see in slots games now are sharply improved from the early days of the medium. The enriched graphics are also often followed by a greater attempt at a story to keep the player engaged, taking notes from how video-games have grown as a market through these elements. Beyond a fanfare and siren after a jackpot, slots machines have generally been quite quiet – the casinos and pubs that usually housed the machines meant that there was a lot of ambient noise and focusing on the audio experience was something few developers gave much thought to. But with the advent of online slots and experiences that could be played at home or in private, it suddenly became more important to have a full experience with audio as well as visual. Since then, slots games have boasted better soundtracks and are designed to offer a more complete gameplay experience. A gameplay choice that began in Gonzo’s Quest, seeking to change how the game was experienced, rather than spinning reels the icons fell like Tetris blocks instead with aligned symbols creating rows that vanished and allowed new symbols to fall in. It’s a simple innovation adopting traits of another game but the final result is a great new feature that many games are emulating. While a prime example, it’s hardly the only slot to adopt new features in order to produce a more complete and rounded gaming experience. An innovation only possible at such a scale thanks to the internet, a progressive jackpot is a running total of money submitted by other players across the globe which accumulates into a jackpot to be won! Progressive Jackpots are a great example of how the current climate has been adopted by the gambling industry in order to enhance their offering to players. With bigger jackpots available to anyone who manages to get lucky, progressive jackpots are a feature that’s been well received by players and casinos alike. Can you think of other big advancements in the realm of slots that we haven’t touched on? Let us know in the comments below!